General Khalifa Haftar, who commands an army called the “Libyan National Army” based in Benghazi in eastern Libya, ordered his troops to "march on Tripoli" to gain control by force. Obviously, the Haftar offensive aims to take power and settle in the Libyan capital. Haftar's soldiers have already taken control of several towns near Tripoli, including the town of Gheryane, which lies south-west of Tripoli, near the Adrar Nefussa amazigh territory. Haftar's army also reportedly concentrated troops near the town of Nalut and is apparently preparing to attack this Amazigh city. This poses an extremely serious threat to Amazigh people in Libya who are at risk of massacres, especially if they refuse to collaborate with the new conquerors. In Adrar Nefussa, the Amazigh populations live in anguish. The danger is all the more serious as the Amazighs of Libya are considered as "Kuffar", that is to say, disbelievers, since the "higher committee of fatwas" which depends on the Instance of Islamic affairs of the Libyan interim government, qualified them in 2017, "kharéjites" and infidels. As a result, by killing the Amazighs, Haftar's soldiers will both get rid of these unholy Amazighs and appropriate their territory. 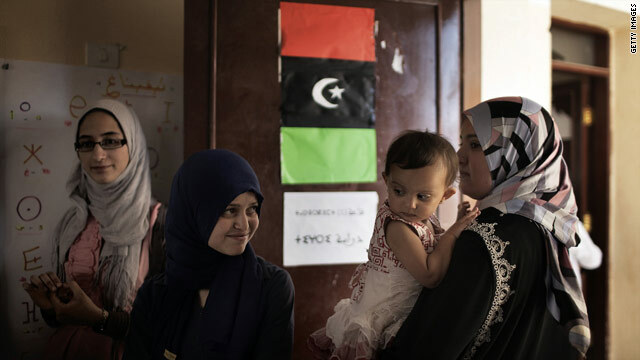 There is an imminent risk of anti-Amazigh genocide in Libya. In solidarity with Amazighs of Libya, the Amazigh World Congress is very worried. He makes an urgent appeal to the UN, the African Union and the European Union to take urgent and exceptional measures to protect the Amazigh people of Libya. CNN : Will Gadhafi defeat bring new freedom for Berbers in Libya?